The Framework works on the principle that each individual, community and organization will operate independently, yet be linked under the umbrella of the Lake Huron Charter. Through these individual actions we will strive to work collectively towards protecting and restoring the natural environment. The Framework provides direction and options on how communities, organizations and individuals can contribute to the future health of Lake Huron. What is the Framework for Community Action? The Lake Huron-Georgian Bay Watershed Canadian Framework for Community Action is a people based approach to promote community action to respond to environmental issues across the watershed. It works on the belief that each individual, community and organization in the watershed operates independently, yet are united by the common cause of improving Lake Huron and Georgian Bay. …together we will achieve much more than any one partner could do on its own! The Framework is supported by people from across the watershed. Through the principles of the Framework we will work towards building awareness and initiating restoration and protection projects.The Framework includes a Charter statement that individuals, groups and communities can pledge to and this will help to unite all actions in the watershed that protect and restore the natural environment. Why a Community Based Approach? Canada and the United States endorsed the formation of the Lake Huron Partnership to meet the commitments of the 2012 Great Lakes Water Quality Agreement to protect and restore Lake Huron. The Partnership continues to focus on priority lake wide issues such as chemical contaminants, nutrient and bacterial pollution, loss of fish and wildlife habitat and ecosystem change, invasive species, and climate change impacts. The Lake Huron-Georgian Bay Framework is a Canadian approach in support of the Lake Huron Partnership and the 2017-2021 Lake Huron Lakewide Action and Management Plan . The Framework promotes a community based approach that works from the ground up, along every shoreline and in every community. By helping and encouraging everyone to take action, people will move from the role of observer to active participant, and this will help them to find a place to initiate change. People or groups may decide to provide more education about some of the issues, lead small community projects or monitor local conditions. Through the Framework we will be create a common bond between everyone in the watershed so that we may act in a united force. The Framework was prepared by a group of individuals, agencies and organizations from across the watershed. Our goal is to connect you with available information and resources and to improve awareness and support of sustainable living through wise decisions and community action. 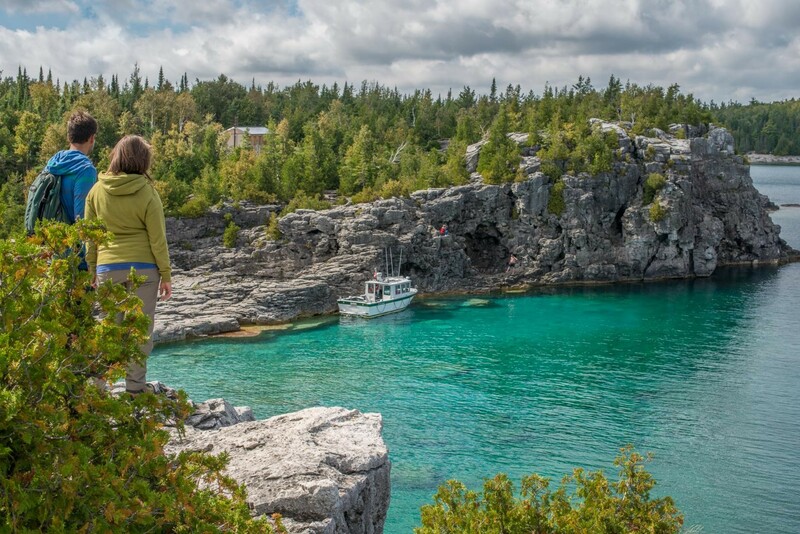 We are extremely grateful for the support received from many individuals in preparing the Lake Huron-Georgian Bay Watershed – A Canadian Framework for Community Action. Currently, there are many individuals, property owners, business operators, community groups and governments across the watershed that are actively involved in promoting sustainable activities. The purpose of the Lake Huron Watershed Framework for Community Action is to work with these people and learn from and share their experiences with others to enhance a lake-wide commitment for a healthy and sustainable Lake Huron watershed. Local community groups and individuals are among the most effective champions to achieve environmental sustainability in their own backyards and communities. A community based approach must engage and inform everyone so that they will participate and become involved in a collaborative problem solving process. In a collaborative approach, local knowledge of ecosystems and concerns can be shared and the results of current science and monitoring projects can be put into community hands for their use. This approach will assist citizens in moving from the role of observer to active participant, and to find a place for themselves to initiate change and take active leadership roles. Promote restoration and protection initiatives. Community Action is an investment in overall watershed health…together we will achieve much more than any one partner could do alone! Create awareness about Lake Huron and its watershed, sustainable living and community action by communicating with people through a range of options such as fact sheets, posters, websites, newsletters and meetings. Provide educational opportunities to increase knowledge about the watershed’s ecosystem and it’s stressors. Work with scientists from government, non-government organizations and academic institutions to translate current environmental knowledge and information and share with everyone. Integrate scientific-based knowledge, aboriginal traditional knowledge, and local knowledge and perspectives into management and policy to promote conservation of natural and cultural values. Build the capacity of community groups and people by providing tools and improving knowledge and skills. Hold meetings, workshops, conferences, and provide information and technology transfer opportunities to enhance local management of environmental issues. Obtain support for the Charter from individuals, environmental and community groups, and municipal, provincial, federal and aboriginal governments. Seek a commitment to sustainable living practices and to value natural resources. Understand that economic activity and quality of life is made possible through our environmental assets and services. The Charter will help to ensure that our decision making considers all social, economic and environmental demands, and will remind us to balance the needs of the present without compromising the ability of future generations to meet their own needs. Improve collaboration between agencies and community groups. Create networks to share information, approaches and facilitate partnership opportunities. Encourage and promote the involvement of individuals and groups in ongoing projects and new environmental initiatives. Establish pilot projects to demonstrate how individual and collective actions can improve our environment, grow into larger efforts, and attract interest and commitment from others. Use scientific research and monitoring information, local and traditional ecological knowledge to understand the environment, ecosystem structure and function and track trends over time. Seek consensus on issues, what needs to be done, priorities for action and seize opportunities for projects and initiatives when they arise. Protect critical populations of fish and wildlife through species management and habitat conservation and stewardship. Work with landowners, communities and local governments on stewardship programs and plans and support projects aimed at preventing environmental damage. Work towards environmental sustainability, responsible decision making and effective planning. Where environmental quality has been degraded by human activity directly or indirectly, recommend and implement solutions to resolve problems, control or reduce sources of pollutants, rehabilitate shorelines, streams, wetlands and forests. Promote activities to restore or create new fish and wildlife habitat. Identify targets and indicators and develop public friendly reporting mechanisms such as report cards to track and report ecological monitoring results, achievements of stewardship and protection initiatives and provide this information to the community. Use common sense, experience and scientific and technical expertise to modify targets and indicators when necessary.